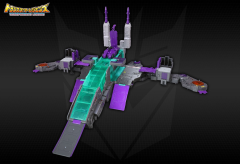 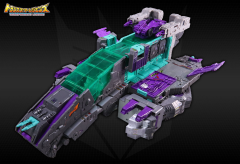 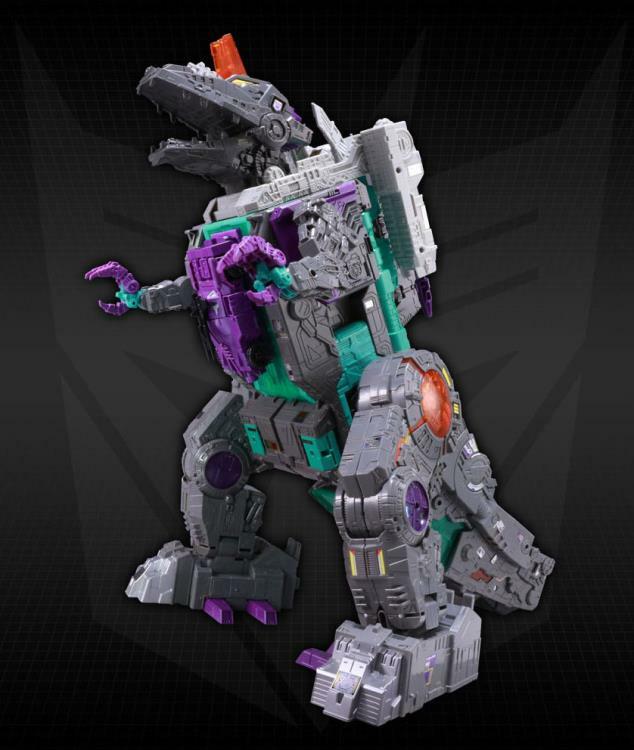 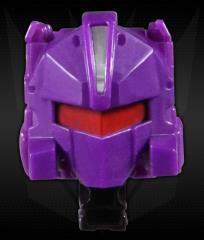 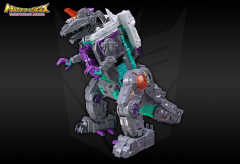 Dinosaurer (Trypticon) is reported to feature a spring-loaded pop-out forehead-gun and the ability to "eat" Titan Master figures. His stomach can be opened to retrieve the "eaten" victims. 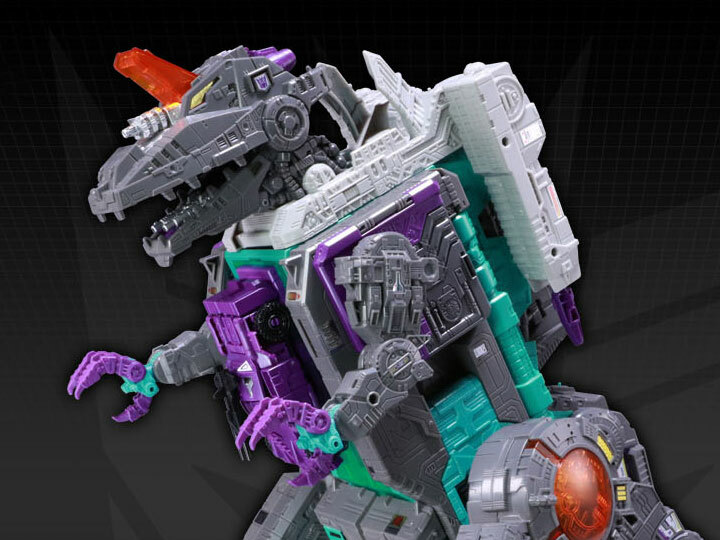 Dinosaurer can transform from dino mode to a city mode that will be approximately 3 feet wide, and a spaceship mode that can fit a Deluxe Class figure in the cockpit. Dinosaurer comes with his buddy Full-Tilt, now Deluxe Class sized, and his Headmaster Necro. 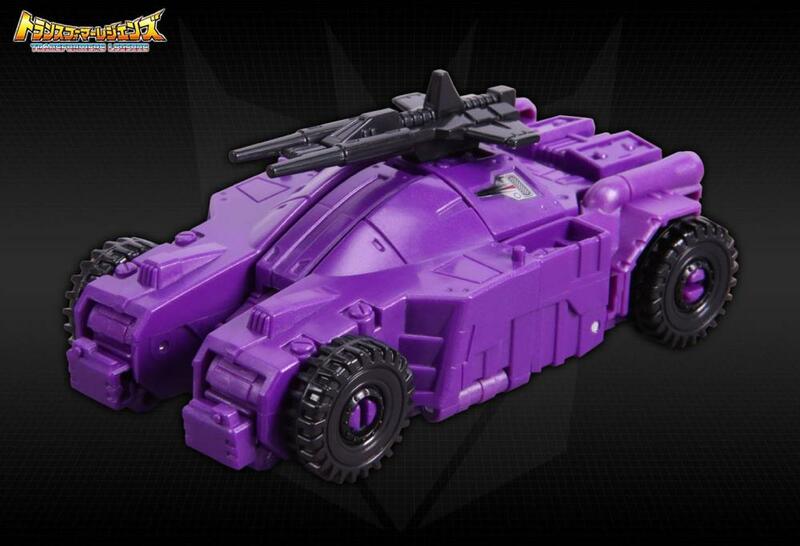 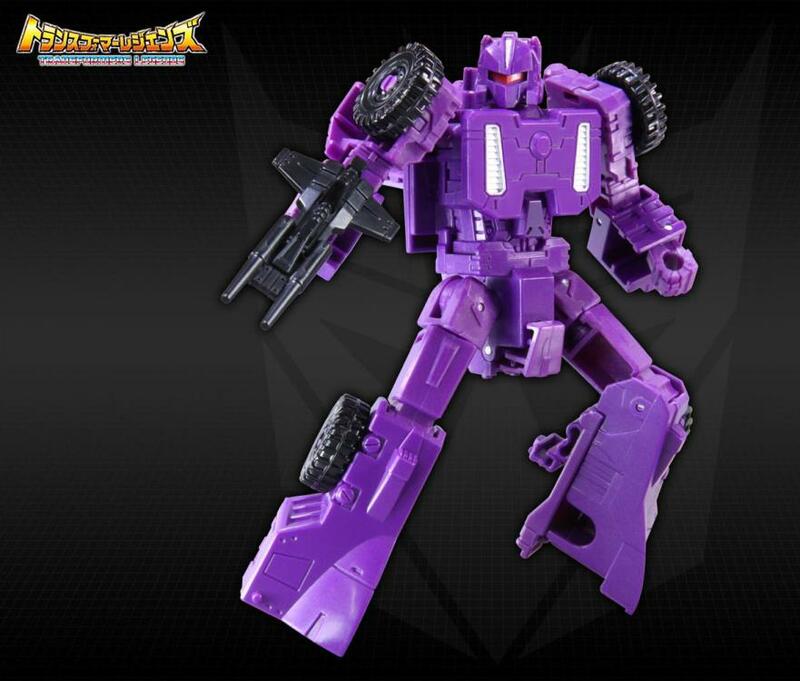 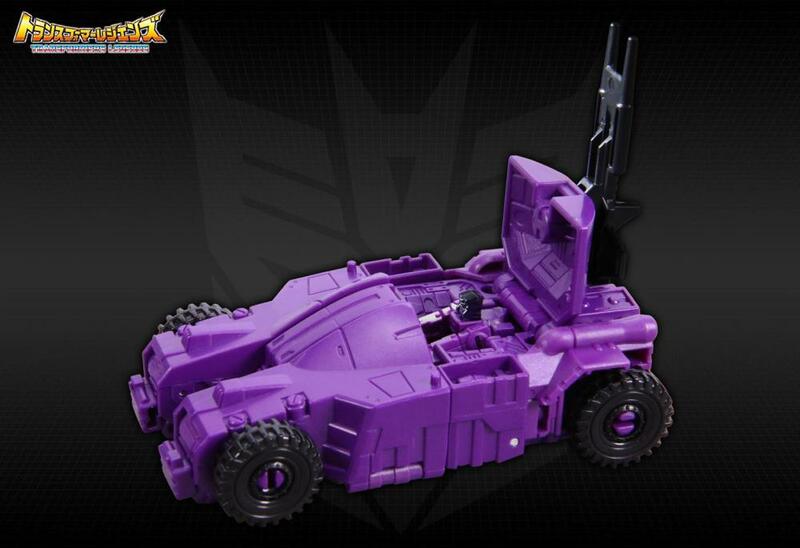 Full-Tilt transforms from robot to a vehicle that can become the chest armor for Dinosaurer. 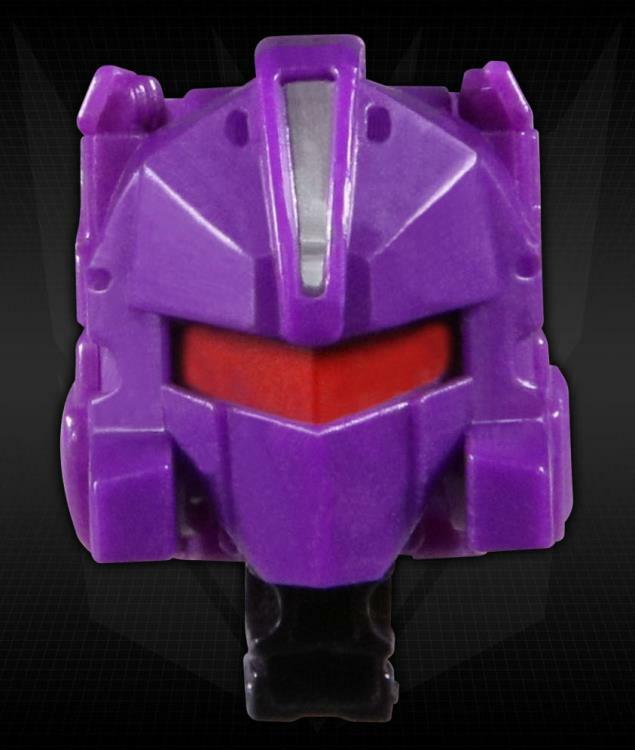 Reported to feature a spring-loaded pop-out forehead-gun and the ability to "eat" Titan Master figures. Spaceship mode can fit a Deluxe Class figure in the cockpit. 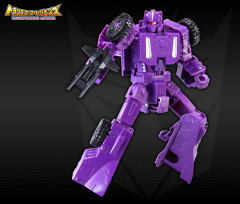 Transformers Legends is a TakaraTomy toy-line launched in 2014 featuring figures who have appeared in the 30 year history of the Transformers; with premium paint application and a more modern interpretation. 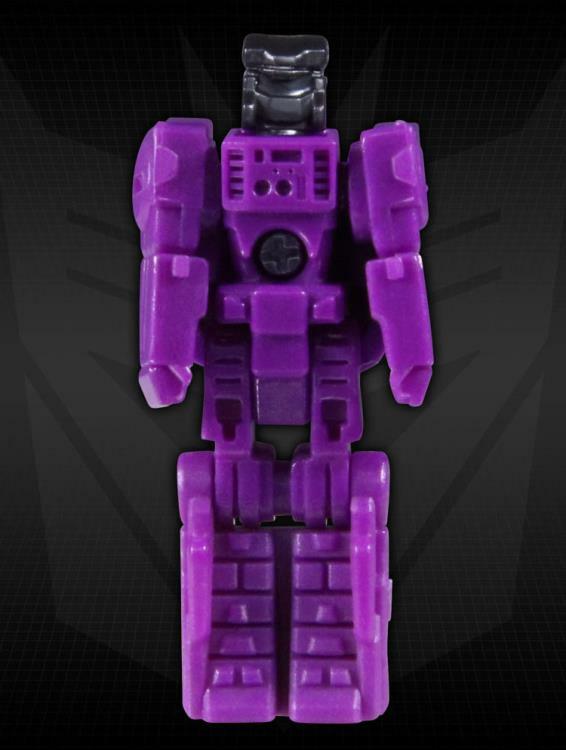 Each figure in the line is packaged with a lighthearted web comic that focuses on the character. 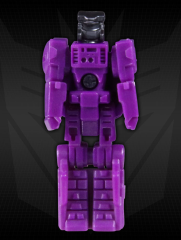 Even though the name of the line is similar to a common size class in the Transformers toy world, it does not equate to the size of the figure.